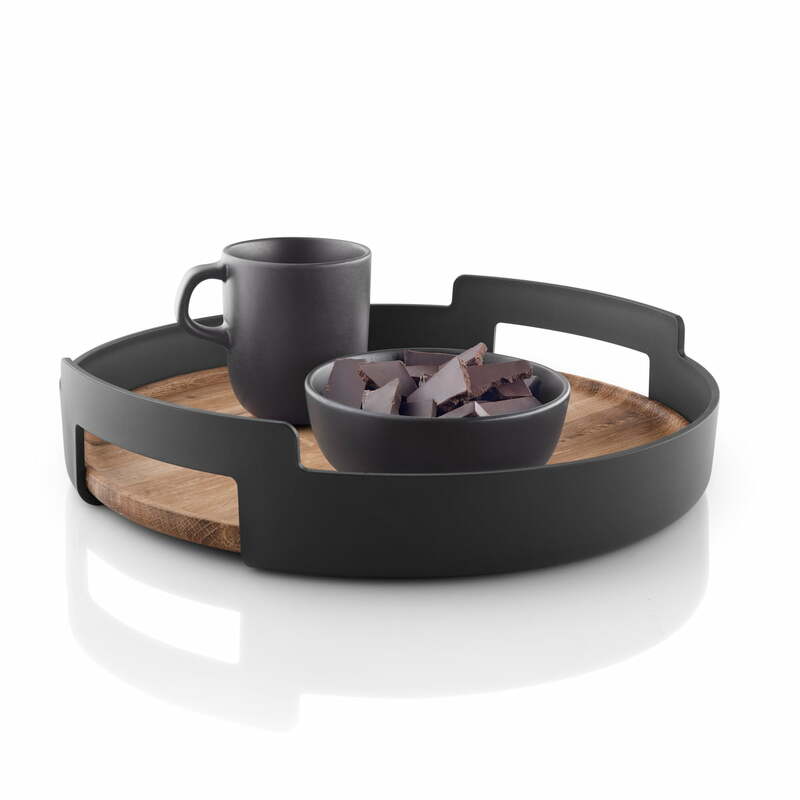 With the Nordic Kitchen serving tray from Eva Solo, breakfast in bed and tea in the afternoon can be served in style. The tray can be gripped easily by the two handles and the high edge ensures that everything remains on the tray. 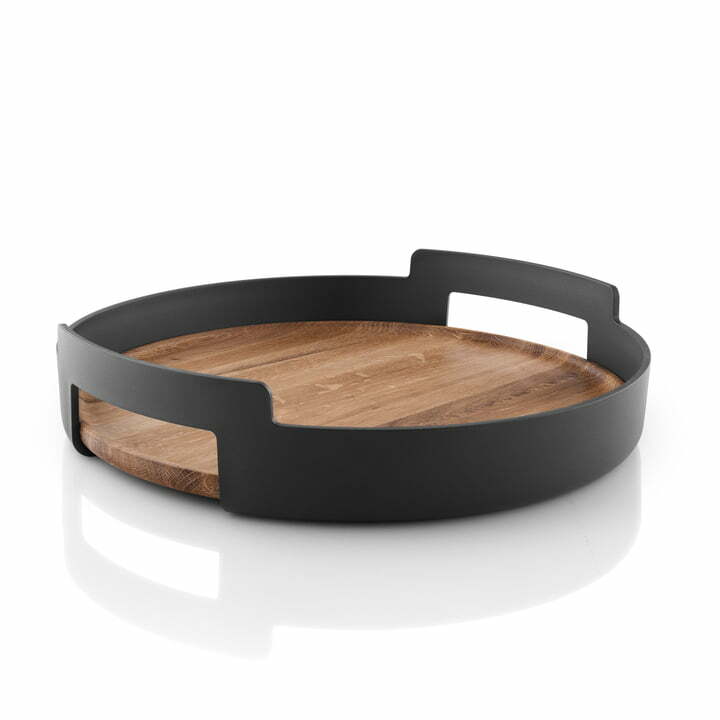 The tray with a diameter of 35 cm is made of light polypropylene in black and oak wood. 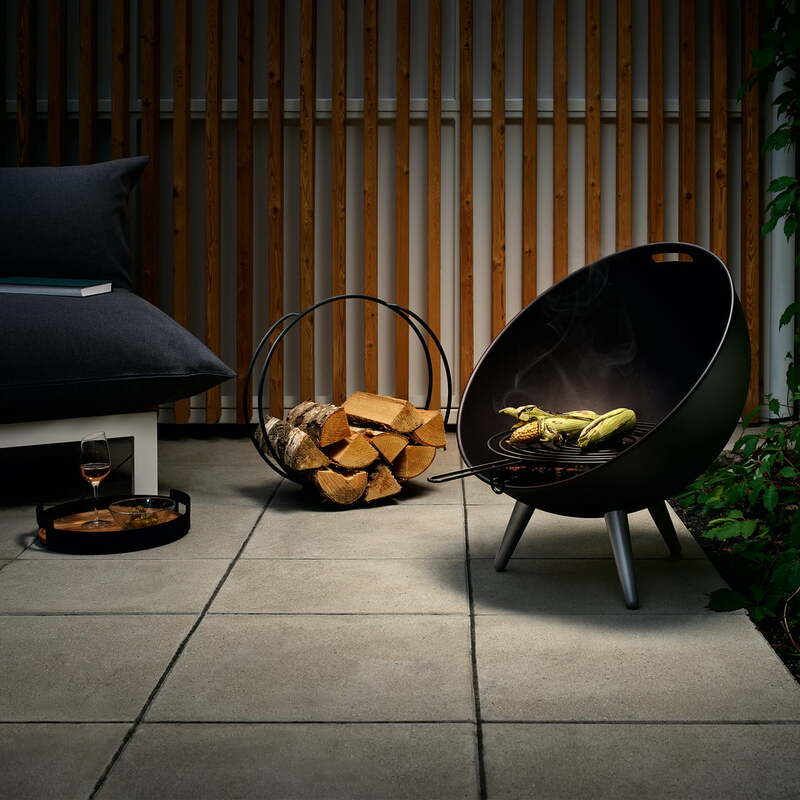 The warm wood is a beautiful contrast to the black, which makes the tray decorative in the kitchen or living room. After use, the tray can be easily cleaned with a damp cloth. To preserve the shine of the wood, it should be oiled regularly. 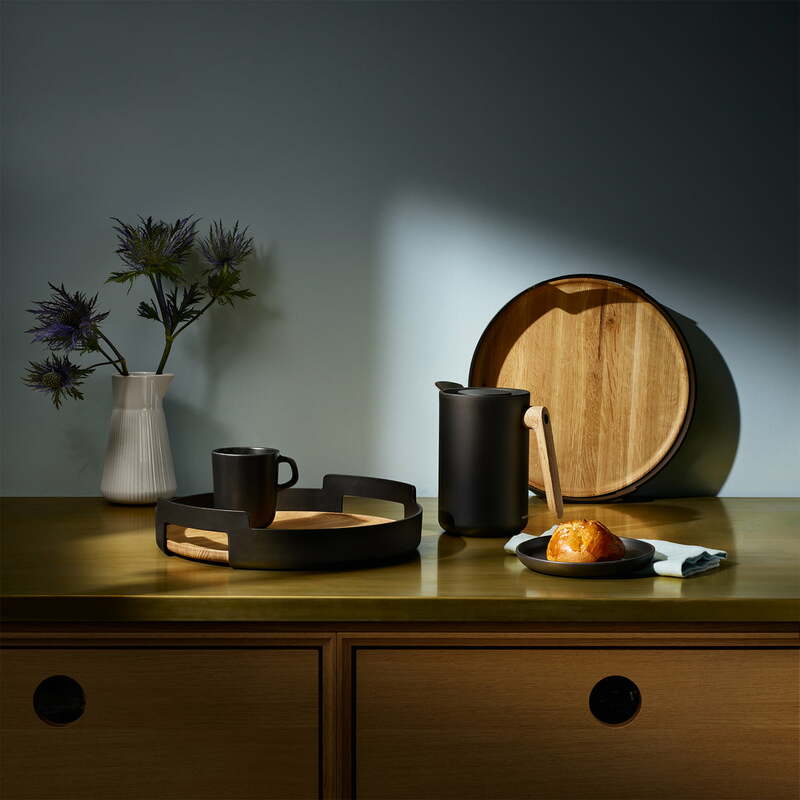 Serving tray, cup, plate and vacuum jug from the Nordic Kitchen series by Eva Solo. The series by Eva Solo convinces by the cool black and the warm oak wood.